Have you ever wondered why someone you’ve known could drink beer like water without getting a hangover? Or how about someone who blithely chain-smoked into their nineties? Simply thinking that these people were just healthier than you and I would not suffice. Excessive alcohol drinking eventually leads to cirrhosis of the liver, while chain-smoking is a sure path to emphysema. To avoid these conditions while excessively smoking or drinking throughout one’s life may seem almost superhuman! Even though some of us are born healthier than others, health alone does not account for the above exceptions. According to Sasang Medicine, each and every person is born with a stronger and a weaker organ depending upon their body type. The state of health of someone who is born with weaker lungs will usually be compromised even after the first cigarette. The person born with a weaker liver often becomes ill even after his/her first experience with alcohol. However, smoking and drinking may not necessarily affect the health of a person who is born with stronger lungs or liver. The Sasang medical system is based on the theory that each individual is born with varying emotional and physical strengths and weaknesses depending on his/her body type. In Sasang Medicine, each organ is associated with a different emotion. Stronger emotional tendencies ﻿correlate with stronger organs while weaker inclinations are associated with weaker organs. Each body type is therefore born with weaker and stronger organs depending on their emotional tendencies. The relative strength of our organs has a direct influence on how we reaction to stress and illness. It also determines which areas of our body are physically stronger and weaker. "Each individual is born with varying emotional and physical strengths or weaknesses depending on his/her body type." The Korean word ‘Sasang’ means ‘Four Types’ in English. It signifies the classification of all people into four major body types. 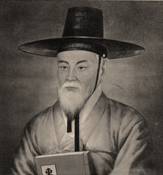 This medical system was first established by a Korean doctor named Lee Jae Ma (1837-1900), who was well versed in the Oriental medical tradition, a system that focuses on the balance of Yin and Yang energy to treat emotional and/or physical illness. He was distraught by the fact that certain patients who suffered from the same symptoms improved quickly, while others suffered longer despite adequate treatment. 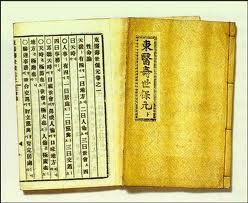 The development of Sasang Medicine was based on his ability to cater to these differences while emphasizing the unique constitutional structure of each patient. In a nutshell, Sasang Medicine is a branch of Oriental Medicine that focuses treatment on the individual rather than the disease.